R is for Reflection ! Leaving you with two of my Favorite quotes today. One from one of the greatest Philosophers of our time and another from an animation character! Your mind is like water, when it is agitated, it becomes difficult to see, but if you allow it to settle, the answer becomes clear. still, the beauty of the Self is seen reflected in it." Nice piece to reflect upon. The picture is superb!! I look at all these pictures you post and I feel my heart instantly drawn towards them...wanna be there! I loved KUNG FU PANDA! Just met him too and well, your pics are always to die for. That quote has the capacity to still the mind like no other. Good one, again. So true... beautiful thoughts to reflect on. Wah! Wah! What an reflection Mam ji! Beautiful pic and quotes - truly makes the mind serene. I like the Kung Fu Panda wala quote! What makes the first quote unique is that an animated character said that. It seems they are more sensible than us. Loved both the quotes, its so true ! Great quotes for the picture. Words of wisdom and a pic to complement the whole image-that is reflection.Nice as always. Beautiful pictures to go with lovely quotes, Ruchira. Beautiful pic..! The second quote complements it so well. The quotes are so appropriate for the picture. I love KungFu Panda! Y is for Yacht ! X is for that Xtra Mile ! W is for waterfalls ! V is for Veiled Views ! U is for University Days ! T is for Translation ! Q is for Qawwali ! P is for Pangong Lake ! O is for Orchha ! 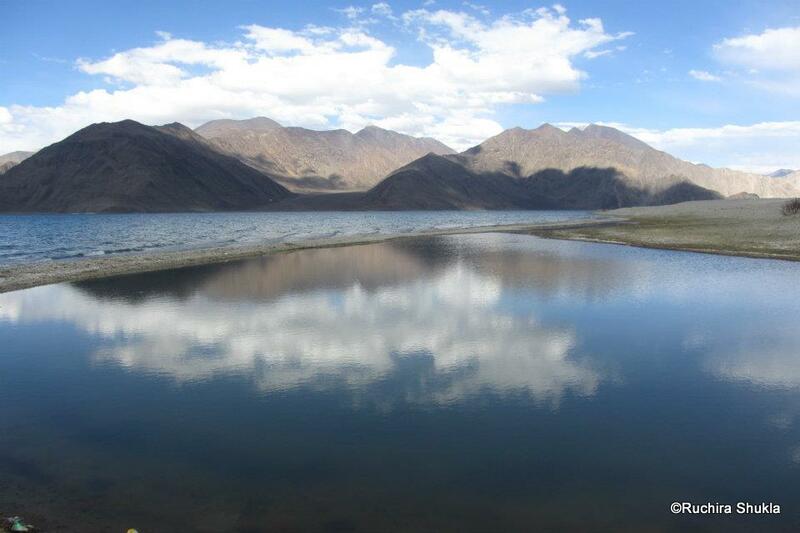 N is for Nubra Valley ! M is for Monasteries ! L is for the Loch Ness Monster ! K is for Khaadi ! J is for Jewellery ! I is for Introverts ! G is for Ganges ! F is for Fifty Five Fiction ! E is for Explore ! C is for Chai ! B is for Bookworms ! A is for Autumn !